William Carl passed away peacefully at breakfast with his son nearby. Carl is survived by loving family; son Ken Rorison, Daughter-in-law Donna Ray, Granddaughter Starla. Sister June Chisholm, James Chisholm, Judy Chisholm, Stephen Knox, Neil Chisholm, Brittany, Christina, Jarod, Greg McKinnon. Carl was predeceased by his wife Elizabeth Rorison ( Taschuk ) On April 19, 2017 at Langley BC . 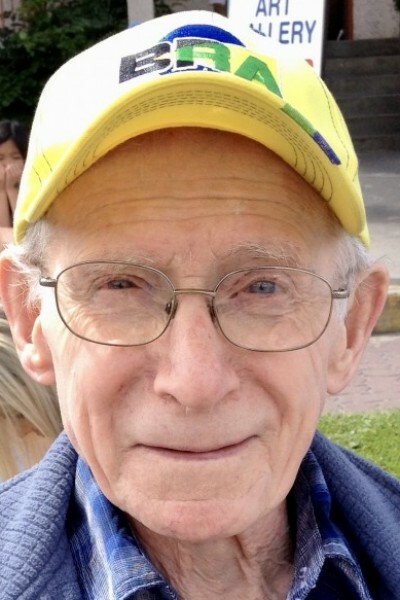 Carl walked confidently up to his last day without a walker, Carl loved his fitness and only one month before his passing still enjoyed walks of up to 2 kilometers per day amongst the beautiful orchards, lake and desert of Osoyoos, BC. Carl joined the RCAF in 1949 as a young lad in Montreal , at the recommendation of his uncle, and never looked back on a wonderful 40-year career as flight simulator technician. His life with Elizabeth and family took them to France, Germany, Cold Lake AFB, Cold Lake AFB, And then 43 years in Langley BC. Carl and Elizabeth met many friends while participating in Quarter midget car racing in Langley BC. At 63 years old Carl embarked on a wonderful 18 year passion of long distance bicycle riding. These travels took him and his wonderful friends of the Cross Canada Cycle Tour Society, 95,000 km across approximately 12 countries. Including 9000 km from west coast to east coast of Canada. Passing through his hometown of Howick Quebec. These would have been some of the happiest and most fulfilling years of Carl’s life. Pedaling his bicycle and traveling. The fitness Carl achieved during this much love time of his life took him confidently to his dying day. Carl had many joyous times since moving to Osoyoos. His frequent outings brought him much delight, & he was always amazed at the clearness of the blue sky and beauty of the mountains. Wondering out loud how they had formed. Carl and Ken even rode their bikes together on the Canal path and beside Osoyoos Lake. Thank You to Sherry & Kathy for taking Carl on great outings. Carl’s dementia caused him concern in his evenings after dinner. We thank the beautiful staff and friends Carl met at Harrison Landing, Langley BC, Mariposa Gardens, Osoyoos BC, and Penticton Hospital BC. The care he received here was marvelous. If you wish to share memories or comments, please do so by visiting, www.everdenrust.com Click on Carl, Click on tribute wall.